This HDD rack lets you install two 2.5” SATA hard drives or solid-state drives into a single 3.5” front bay. 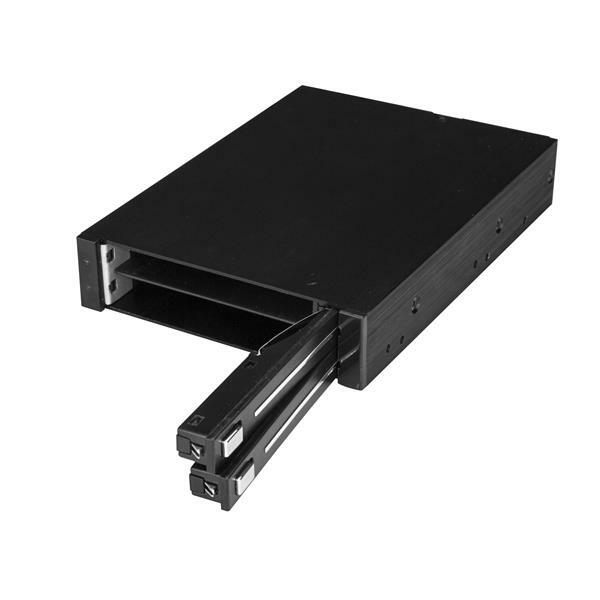 With configurable RAID support, the SATA drive rack provides an ideal data storage solution. Configure and arrange your drives for increased drive capacity, or add data redundancy, with built-in hardware RAID functionality. 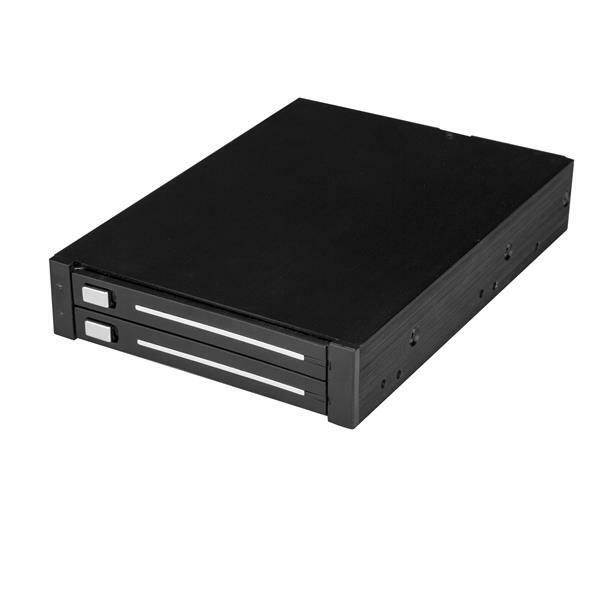 The HDD rack offers software and operating system independent operations and with multiple RAID options, such as RAID 0, RAID 1, spanning, or JBOD, you can build the data storage solution that works best for you. This SATA backplane is trayless and hot-swappable, which makes it easy to install and remove your drives from your computer system when required, without having to open the case every time. It also provides a more convenient way to create backups for data recovery and archiving. 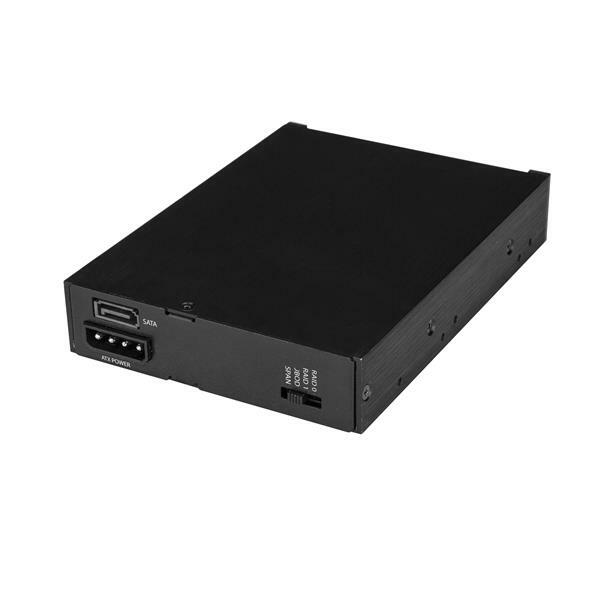 The removable hard-drive bay/backplane features durable aluminum construction for long-lasting performance. 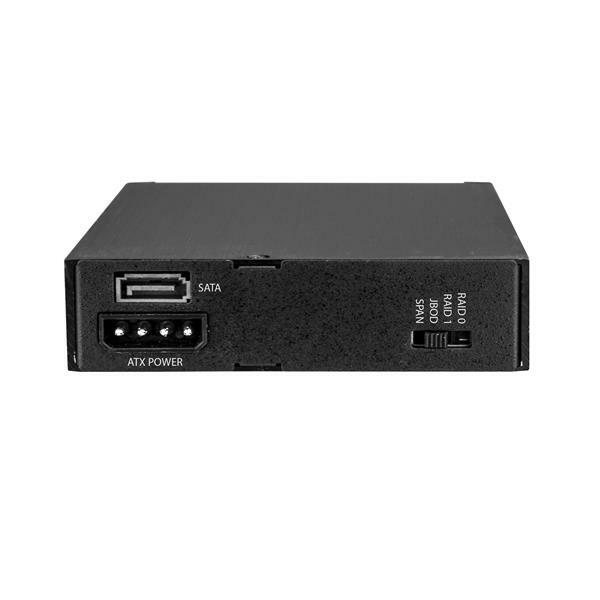 The SATA backplane also has LED indicators for power and hard drive activity, and drive status, which makes it easy to monitor the status of your hard drives and RAID array. The HSB225S3R is backed by a StarTech.com 2-year warranty and free lifetime technical support. SATA hard drive cable, with latching SATA connectors, for securely fastened hard drive installations.